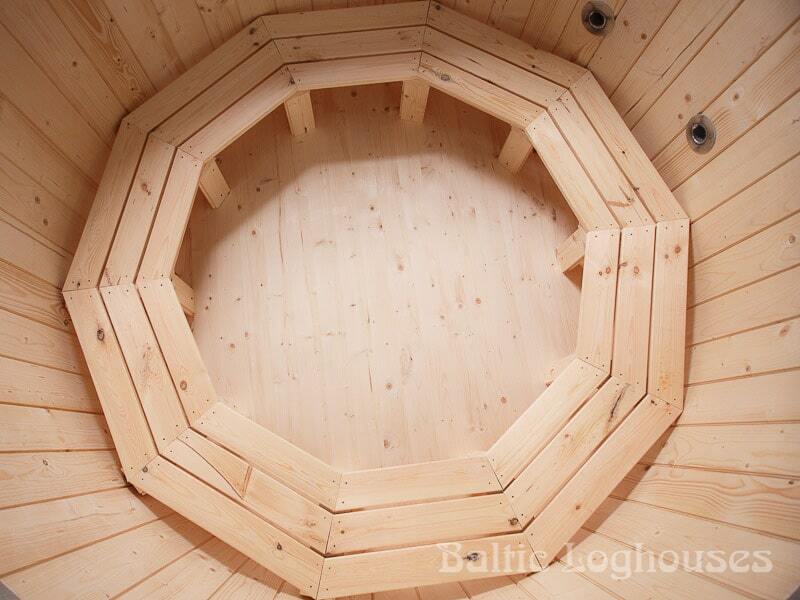 Hot tub with external stove and glass fiber content is made of spruce, aluminum oven, and 2m chimney. 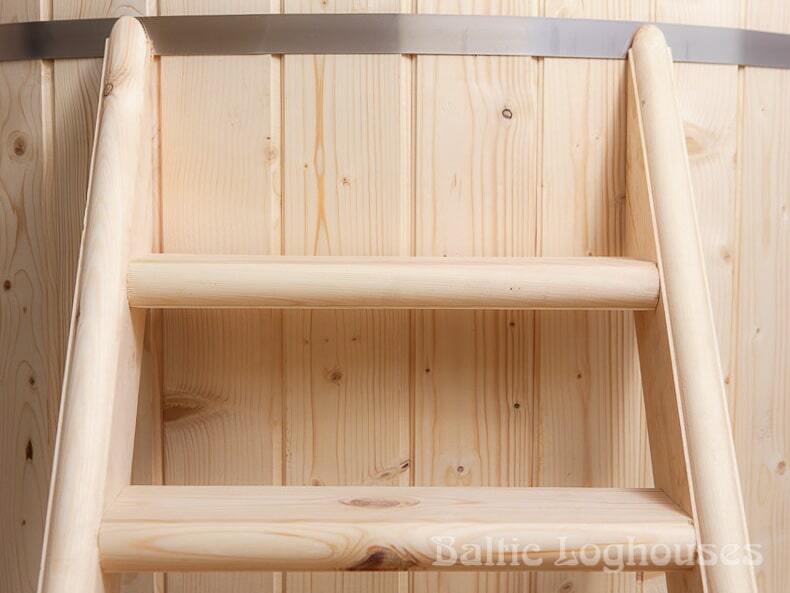 We use Tikkurila Pinja Wood Stain colors to finish our hot tubes. 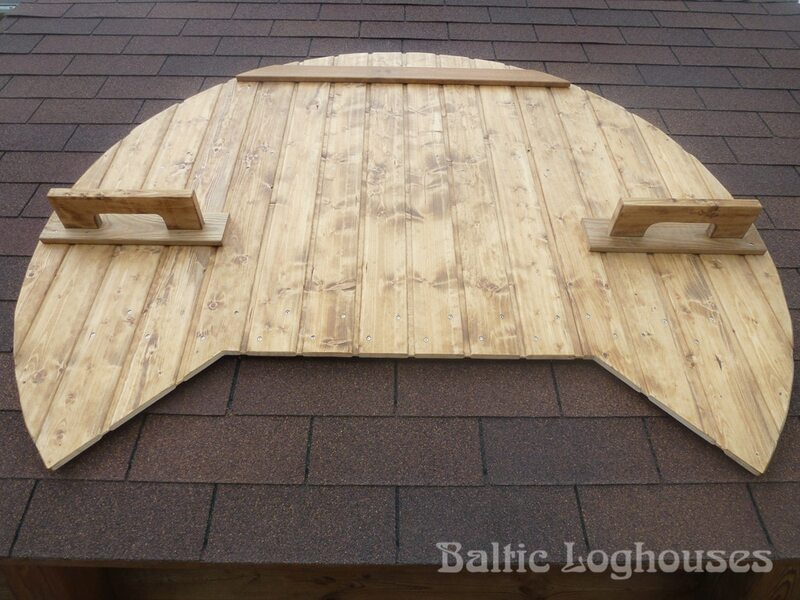 Pinja Wood Stain color is a fast-drying aqueous tonic stain and protects the surface from moisture, sunlight, and dirt, thereby reducing cracking of the wood surface. 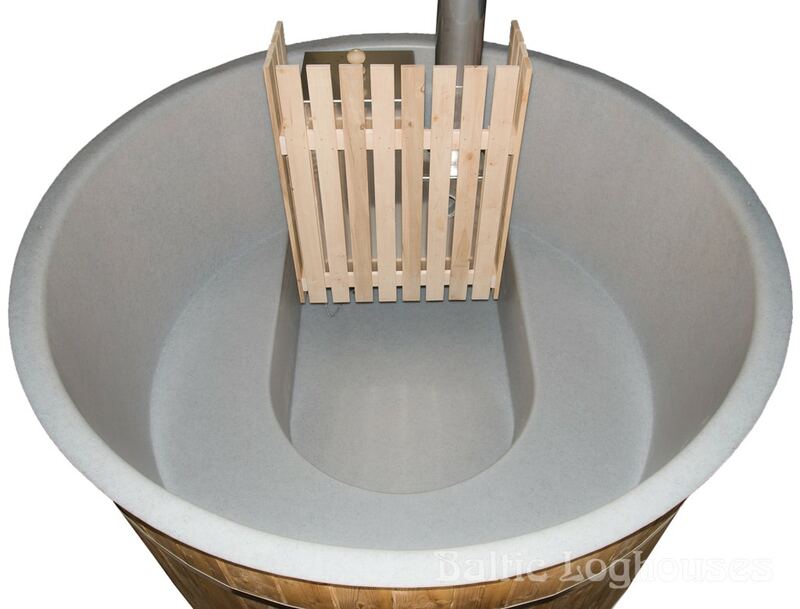 Hot tub with external stove and glass fiber content is high-quality and durable which is resistant to volatile weather and easy to maintain. 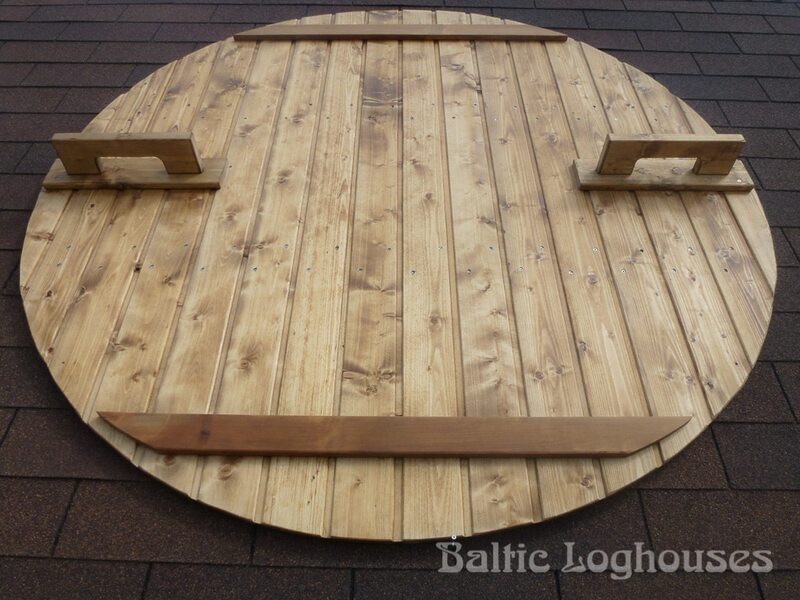 We offer top-notch hot tub with external stove and glass fiber content with plenty of extra equipment. 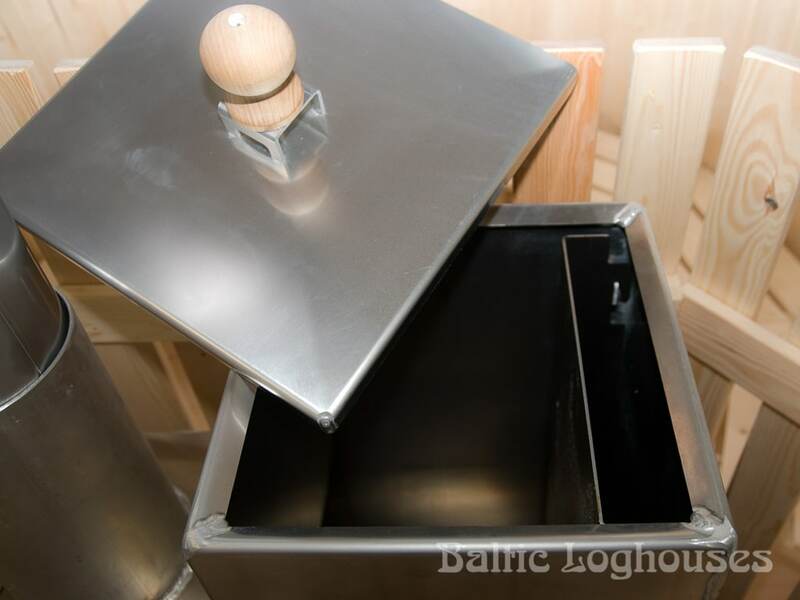 Hot tub with external stove and glass fiber content is an essential companion for relaxing, both during the summer holidays or during the winter sports competition. 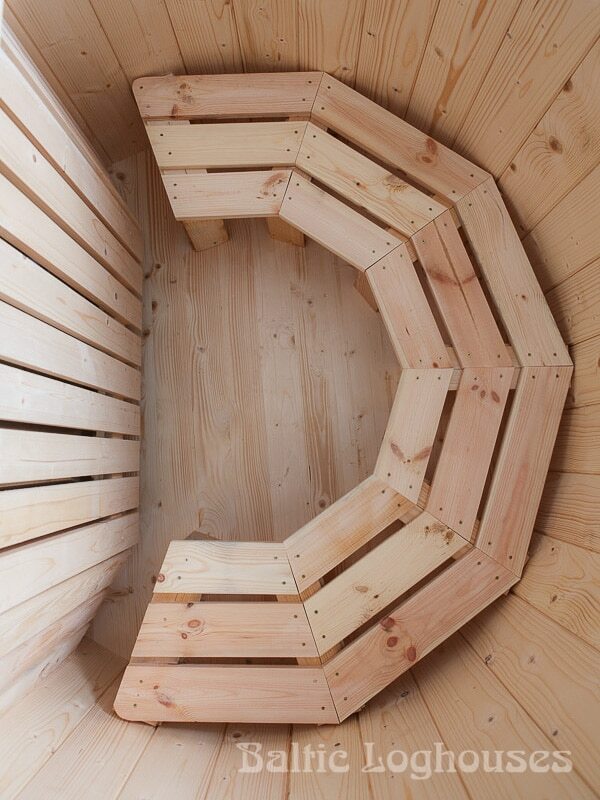 Wooden hot tubes have a traditional round shape. 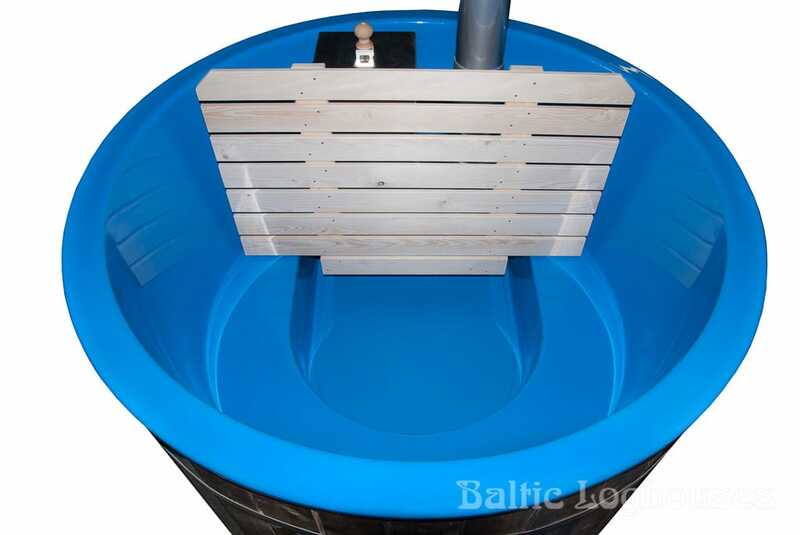 The diameter of the different hot tubs varies between 140 and 200 cm, and the hot tube is designed for three up to eight people. A bathtub can be placed anywhere that has a flat ground. 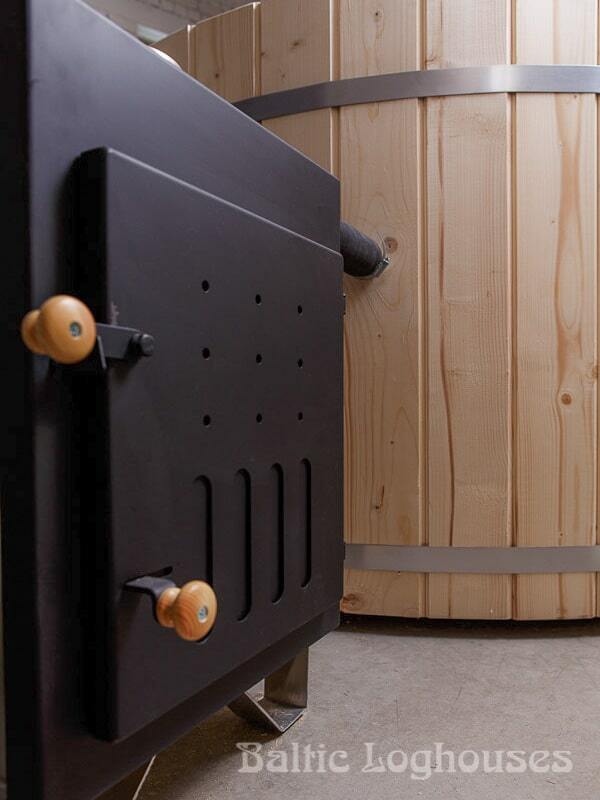 If the hot tube exchanges water after every couple of uses, then no chemicals or filtering system is required. 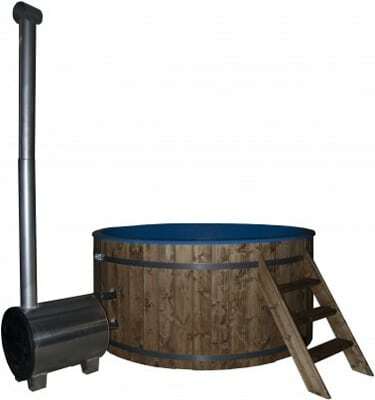 The hot tube can be used throughout the year.